At the Black Press, Tom Fletcher informs us that New Year’s Day marked the implementation of the Great Bear Rainforest agreement. Taking a poke at the “American-financed protest industry” (that renamed the Timber Supply Areas to “save them”), Tom notes that—with a 2.5 million m3 per year AAC, “this region remains a working forest”. Business in Vancouver contributor Gordon Hamilton writes that “if it’s true that business hates uncertainty, then the B.C. forest industry is in for some ill feeling in 2017”. Gordon’s focus is the expected result of the US trade investigation on Canadian lumber, which he believes will put “the brakes on some lumber production here, leading to layoffs and possible mill closures”. A few other headlines from today’s news includes Treehugger’s Lloyd Alter, who defines 2016 as the “year that wood construction got BIG and TALL”. Forest Practices Board chair Tim Ryan notes that the Board “has received double the normal number of public complaints and concerns with forest management and practices” in 2016 (no doubt due to their increased visibility as BC’s forestry watchdog). And finally, congratulations are in order for former president of Weyerhaeuser Canada (and author) Anne Giardini who was named an officer of the Order of Canada. If it’s true that business hates uncertainty, then the B.C. forest industry is in for some ill feeling in 2017. Finding opportunity in the face of that uncertainty is the challenge for the coming year. The biggest challenge comes from the United States, which has initiated trade investigations that are expected to result in duties of 30% or more being applied to Canadian lumber by the second quarter. That’s likely to lead to short-term chaos, according to an outlook published in December by the International Wood Markets Group consultancy. The U.S. is also seeking duties on unassembled products like window frames, which will bring more value-added businesses into their sights for the first time. Conifex Timber Inc. has received syndication lenders take-up for a new $130 million secured revolving credit facility being arranged by a major U.S. bank to fund the modernization and restart of its sawmill complex in El Dorado, Arkansas, as well as to replace and discharge its existing revolving credit facilities and senior notes. 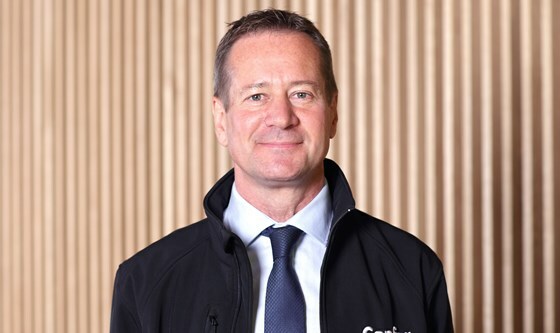 The Credit Facility will have a term of 5 years and be secured by substantially all of Conifex’s assets (other than its bioenergy segment assets), and is scheduled to close on or about January 6, 2017. This trade case, regardless of its conclusion, will cause heightened volatility and increased prices. We recommend placing orders before the year ends, as prices will escalate further at the beginning of January 2017. On November 25, 2016, the U.S. Lumber Coalition submitted a petition to the U.S. Department of Commerce and the U.S. International Trade Commission, asking for relief from what it described as “Canadian subsidies and dumping.” This move was highly anticipated. The softwood lumber agreement that governed the softwood lumber trade between the two countries came to an end after nine years in October 2015. There was a standstill period for another year, during which parties could not file any trade cases against each other. The start of a new year marks a fresh beginning full of opportunity. 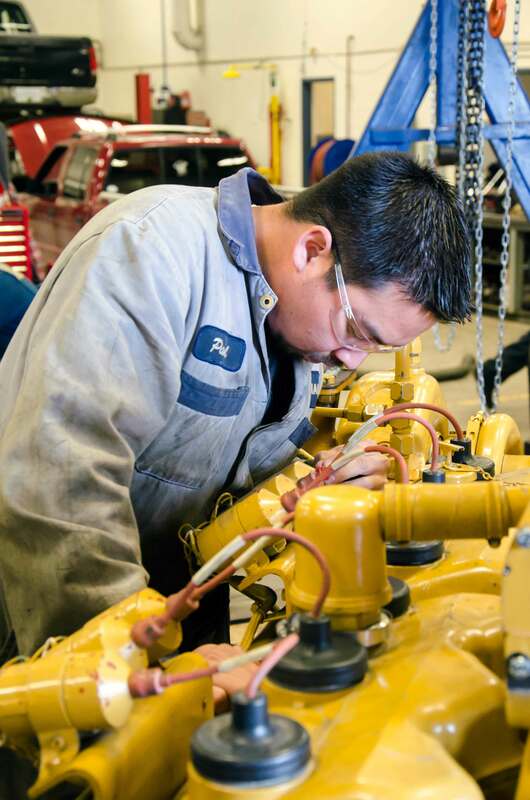 If a new job is on your “to-do” list, consider a future in a rewarding career in the trades. The British Columbia 2025 Labour Market Outlook ranks a career in trades, transportation and related occupations among the top opportunities in B.C., with approximately 123,000 job openings forecasted over the 10-year outlook period. Training for a career in the trades is valuable. The 2015 Apprenticeships Student Outcomes Survey indicated that 98% of employed former traditional apprenticeship students are working full-time with a median hourly wage of $31. Government continues to support in-demand occupations in the trades by aligning investments in education and training through B.C.’s Skills for Jobs Blueprint. 40-year veteran of Big Timber told The Register-Guard shortly after the Nov. 8 election that he is “cautiously optimistic” that the federal timber cut in Oregon will go up under a Trump administration and a Republican-controlled Congress. Such is Big Timber’s last best hope to ever return to the bad old days, circa 1990, when three square miles of Oregon ancient forest was clearcut weekly. As a 40-year warrior for the wild, I’m optimistic that the Oregon federal timber cut won’t go up. Here’s why. …Bring it on, President Trump. Bring it on, Big Timber. Bring it on, Greg Walden. Go ahead, make my day: Reignite the Pacific Northwest timber wars. Let the battle be joined, as nothing less is at stake than the legacy we leave to future generations. Like a pair of fraternal twins, the timber markets of the United States and Canada don’t quite look identical. In the West, both sides cut conifers mainly for the U.S. housing market. The industries each revolve around huge swaths of public forest, and have boisterous debates about how to manage that landscape. Whole communities depend on the logging and milling business north and south of the border. But Americans and Canadians see the same issues differently in ways likely to roil relations throughout the Pacific Northwest. Take the housing market. So are hardwoods better for pallets? That all depends on who you talk to and what type of pallet you are making. Is Softwood Just as Good? So are hardwoods better for pallets? That all depends on who you talk to and what type of pallet you are making. Just like politics, the hardwood industry has undergone some major changes over the last few years. And this includes low-grade markets, especially pallets. …For years, the hardwood sector has dominated the pallet lumber market in the East. Recently, the Hardwood Market Report estimated that pallets consume 40.5% of hardwood material produced in the United States. Pallets are a huge part of the hardwood sector, and this is true for many reasons. Buildings made of cross-laminated timber have a much lower carbon impact than those made of concrete or steel. When the 12-story Framework building planned at Portland’s Northwest 10th Avenue and Glisan Street is complete, it may look to passers-by like any other Pearl District condo tower. 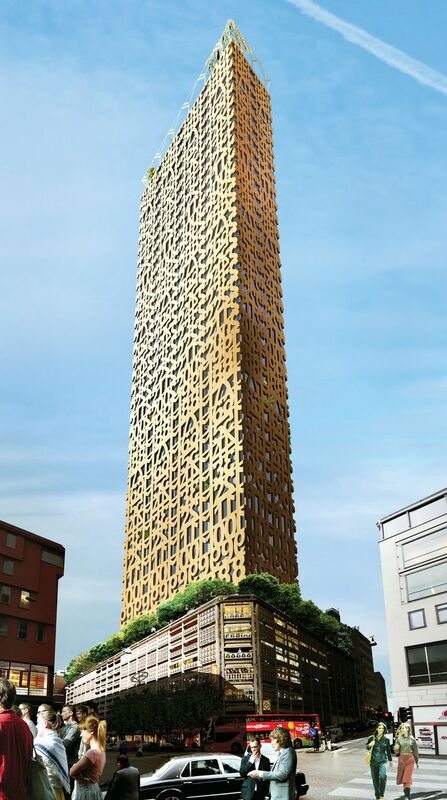 But it will hold a special distinction in the sustainable building world: the nation’s tallest building made primarily from mass timber (long pieces of timber, glue-laminated together). Designers and engineers across the country are chasing an innovative style of mass timber construction pioneered in Europe, which they believe will go a long way to reduce the carbon footprint of large buildings. The breakthrough came with the development of cross-laminated timber or CLT: Large, layered flat panels used as floors and walls (rather than just beams as vertical posts). A recent annual competition promoted wood as a building material to the next generation of architects. The Timber in the City: Urban Habitats Competition was coordinated by the Binational Softwood Lumber Council (BSLC), the Association of Collegiate Schools of Architecture (ACSA) and the School of Constructed Environments (SCE) at Parsons School of Design. The competition was meant to encourage students to imagine the repurposing of existing cities with sustainable buildings built primarily with wood, reports High Performance Buildings Magazine. 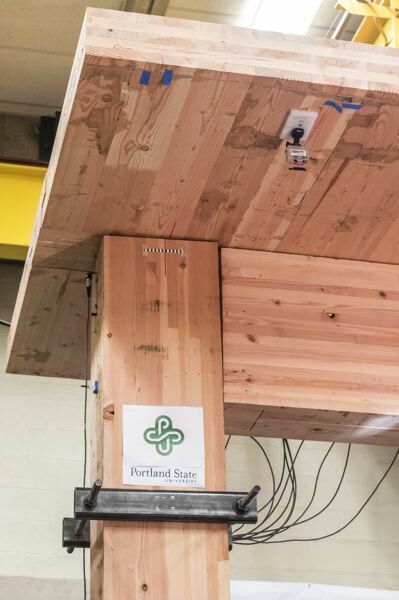 The approximately 850 entries from student teams across the U.S. demonstrated some of the possibilities of timber in the buildings industry. It is not only collegians who learned about timber construction. The collective buildings industry is gradually gaining new insight. Engineered wood, also known as composite wood comprises of a number of wood products made by binding veneers, particles, fibers and strands of wood, together with adhesives to form composite materials. They are modeled to absolute design requirements as per the client’s specifications and tested to meet international and national standards. They include a variety of products ranging from plywoods to roof trusses. Increasing demands for cost effective wood products for building applications such as load bearings, structure panels and flooring is expected to drive the growth in the market. With the rising trend of green technology, certain smart products are being encouraged which aid in reducing green house gas emissions. North American countries such as the U.S. have initiated establishment of green building standards in several states. Until recently, there were two basic ways of using wood in construction: chop down whole tree trunks for heavy beams or saw them into two-by-fours. The first, which produced log cabins and medieval church roofs, is costly and inefficient today, relying on scarce old-growth. The second gives us stick-built houses but nothing much taller than a few floors. Now a third technique, sandwiching layers of wood and adhesive, yields cross-laminated timber (CLT), a kind of super-plywood that comes in immense slabs as long as a bowling lane and as thick as 12 inches. A similar process yields steel-hard beams called glulam. The principle is almost touchingly simple: “Gluing a stack of cards together produces something stronger than building a house of cards,” says architect Do Janne Vermeulen, a principal at the Dutch firm Team V Architecture. One of the reasons tourists come to the Chiloé island, in the south of Chile, are the palafitos. These are wooden houses, colorfully painted. They rest on tall stilts and, with the coming and goings of the tides, the buildings sit over the ocean most of the time. Though the structures look fairly old and weak, the Chiloé palafitos survived the 7.6 magnitude earthquake that shook the area on December 25 without major problems. Most of the island’s houses and famous churches held up well, too. They’re all built of wood and are considered World Heritage by UNESCO (there is even one that holds together without a single steel nail). This is all precisely because they are built with lumber. “One of the materials that works best with earthquakes is wood, because of its flexibility. The building’s structure permites this to move along the tremors and it doesn’t oppose resistance to them,” the architect Jorge García explained to the local newspaper La Estrella de Chiloé. New Year’s Day marks the implementation of the Great Bear Rainforest agreement, hailed as a landmark around the world but largely ignored here at home. It’s been “saved,” as our modern urban mythology describes it. This vast rainforest is no longer officially known as the “North Coast Timber Supply Area,” the name our American-financed protest industry trained our news media to use with a sneer in the 1990s. The regulations that took effect Jan. 1 do indeed retire this dreaded title, as well as the Mid-Coast, Kingcome and Strathcona Timber Supply Areas. Instead we have the Great Bear Rainforest North, Great Bear Rainforest South and North Island Timber Supply Areas. I’m not kidding. For these three areas combined, the annual allowable cut has been set at 2.5 million cubic metres per year for the next 10 years. I take exception to the “not working” slant of your Capital News, Dec.9, 2016 article “UBC researcher says management of pine beetle not working.” This is simplistic to the extreme. I was a key person in the development and implementation of mountain pine beetle tree baits. I learned to understand their benefits and limitations. Pheromone based tree bait attractants and semiochemical repellants, such as verbenone, are very valuable tools to manage bark beetle infestations. But they are not pest management “silver bullets.” People gravitate to silver bullet solutions because they offer simple solutions to complex problems. The mountain pine beetle is a complex problem requiring a complex solution deployed over a lengthy time frame. Which government is willing to make that commitment? Over the decades forest harvesting and silvicultural practices created a monoculture of high density, even aged lodge pole pine. A lot happened in Canada during the five-year span of 1985 to 1989. …Thanks to a new website built by local research scientists Mike Wulder and Joanne White at the Pacific Forestry Centre, it’s become just as easy to track the history of logging in Canada between 1985 and 2011 as it is to rent a 1980s Michael J. Fox movie online. It’s worth knowing that visitors to Forests.foundryspatial.com have the ability to manage trillions of pixels with the flick of the mouse. And the implications are massive as the project has compiled tens of thousands of satellite images from 1984 and 2012. In that span, it documents all occurrences of logging and forest fires, which is the most detailed depiction of forest change at the national scale that has ever been generated for Canada, White says. As 2016 draws to a close, we at the Board have been looking back to see what the trends and issues have been this year. Probably the most significant trend to note is that the Board has received double the normal number of public complaints and concerns with forest management and practices this year. (Public concerns are the first step towards a complaint investigation.) We will see if this trend continues into 2017. The Forest Range and Practices Act (FRPA) was implemented nearly 15 years ago as lean, innovative, results-based legislation designed to maintain and enhance, where possible, the standard of forest management and practices while reducing regulatory costs and time to access forest resource–the red-tape. Many of the goals of FRPA have been realized but, like any regulatory system, implementation is ongoing and there is always room for improvement. Two northwestern Ontario First Nation communities are exploring the idea of restoring ferry service to haul wood to a potential forest products operation. 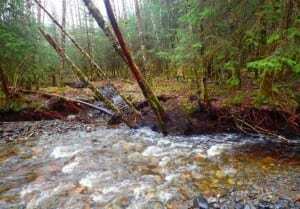 Beginning back in September, Lac Seul and Slate Falls First Nations, with their industry partners in tow, began studying the economics of moving Crown wood from harvesting sites, across the actual lake of Lac Seul, to a possible value-added mill. Steering the study is the Obishikokaang Resources Corporation, a forest management company owned and operated by Lac Seul First Nation that oversees the Lac Seul Forest, which lies within their traditional territory. One truck will be replaced each of the next four years. This year will mark the start of the province’s plan to replace an aging fleet of forest fire trucks, many of which qualify as antiques. The oldest of the trucks is a 1979 Chevy tanker truck, and four more vehicles are from the 1980s. The “new” truck is from 1991. Environment Minister Robert Mitchell says $100,000 has been set aside in this/next year’s capital budget to replace one truck. Black walnuts: ‘Killer trees’ or vital part of the city? Maria Krajewska can’t stand the black walnut tree in her backyard. “Unfortunately, I have to call it a killer tree,” she said. She gives two main reasons for the strong reaction: the potential danger of the nuts hurtling to the ground, and the root system that releases toxins into the soil, making it hard to grow much else. …Coun. Christin Carmichael Greb, Krajewska’s local councillor, is annoyed, too. This isn’t the first complaint she’s received about a black walnut tree. “It is frustrating when you’re trying to help people, your own residents, then it goes to council and the rights of a tree trump the private property rights of an individual,” she said. But if the city does decide to allow for some trees to be cut without approval from the entire city council, it will be thanks to a request from an unlikely source: Coun. Sarah Doucette, who represents High Park and was previously council’s tree advocate. 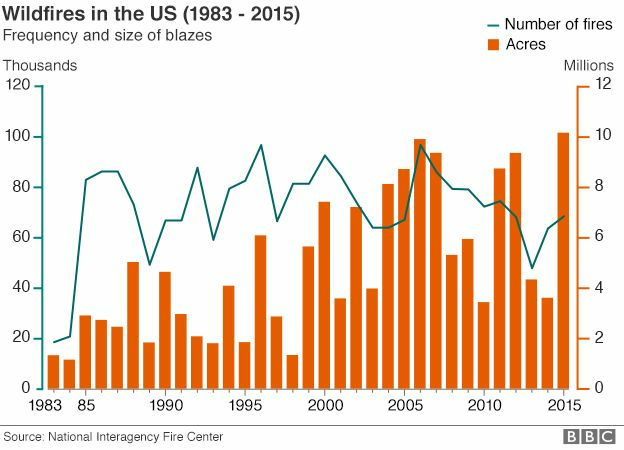 They’re known as “megafires”, and they’re becoming increasingly common and destructive in the wildlands of the western United States. Could overzealous firefighting itself be to blame? In a quarter of a century as a firefighter, Mark Hartwig has seen more than a few wildfires. But as the years roll by, the San Bernardino County fire chief says the blazes are becoming tougher to tackle. “There is no doubt that fire intensity is increasing in Southern California,” Mr Hartwig says as he heads out to inspect the front line of yet another inferno that has taken hold in the mountains east of Los Angeles. “We used to have a thing called fire season,” he says. Now, “fire season is year round”. In a towering forest of centuries-old eastern hemlocks, it’s easy to miss one of the tree’s nemeses. No larger than a speck of pepper, the Hemlock woolly adelgid spends its life on the underside of needles sucking sap, eventually killing the tree. The bug is one in an expanding army of insects draining the life out of forests from New England to the West Coast. Aided by global trade, a warming climate and drought-weakened trees, the invaders have become one of the greatest threats to biodiversity in the United States. Scientists say they already are driving some tree species toward extinction and are causing billions of dollars a year in damage — and the situation is expected to worsen. by Noelle Arena, by Meghan Tuttle, Norm Michaels and Ted Reiss – members of the Lane County chapter of the Society of American Foresters. Roy Keene’s Dec. 16 viewpoint, “Aerial spraying a symptom of bad forest policies,” was so loaded with exaggerations and inaccuracies about the practice of forestry that, as professional members of the Oregon chapter of the Society of American Foresters, we wonder in what forests Keene spent his “40 years as a forester and timberland broker” — because it sure doesn’t sound like the Oregon forestry we know. For example, Keene’s patently false claims that insecticides, rodenticides and fungicides are commonly applied pesticides in forestry and that herbicides are non-selective would indicate that he has little to no familiarity with pesticide use in forestry. The actual facts are that foresters in Oregon rarely, if ever, aerially apply anything other than a few judicial and legal applications of selective herbicides (carefully chosen to target specific non-native invasive weeds such as Scotch broom that compete with newly planted tree seedlings) in the first few years of a 40- to 60-year time frame. PICKENS — When people and property are endangered, wildfires are viewed as calamities. And, indeed, to those directly affected, they can be deadly and devastating. But from Mother Nature’s point of view, wildfires play an integral role in the health of a forest by thinning trees, burning dead or decaying matter and returning nutrients to the soil. Unlike the horrific occurrences in Tennessee, there was no loss of human life or significant structural damage in South Carolina in 2016 due to wildfires. But the recent Pinnacle Mountain Fire, as it is now named, became the largest in South Carolina’s modern history, affecting 10,623 acres and encompassing a 31-mile perimeter that included Table Rock and Pinnacle mountains. The U.S. Forest Service Transition strategy is based on faulty assumptions and the USFS professionals know it. The Forest Service’s recent decision to transition too quickly to young growth harvesting some 30-years ahead of schedule is predicated on some faulty assumptions. 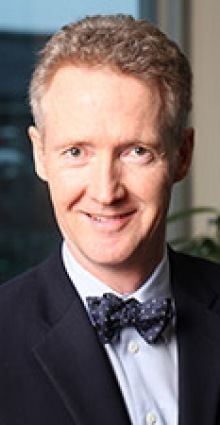 The agency asserts that, under the young growth transition scheme, the agency will achieve much better plan implementation than the 20 percent success rate they have achieved since 2008, but the agency has proposed no changes in the harvesting guidelines and constraints that caused that lousy implementation performance. Agency professionals admitted this transition plan would not work as recently as last summer in a field trip attended by Congressional staff and municipal officials. AMHERST — Global demand for forest products such as pulp for paper, timber and fuel pellets is expected to increase in coming years. 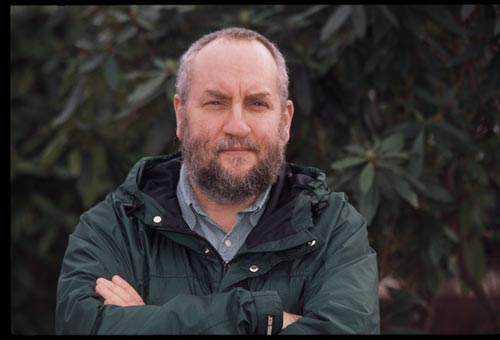 To meet this need, University of Massachusetts plant geneticist Sam Hazen, whose research has led to higher biomass yield in grasses, recently received a grant to demonstrate that his new technology can grow trees that produce more wood than conventional trees. The National Science Foundation awarded Hazen a three-year, $713,000 grant to study gene regulation of cell wall growth in the model grass species called Brachypodium. His experiments will advance understanding of the transcription networks that regulate secondary cell wall biosynthesis in grasses. The National Association of State Foresters (NASF) presented Congressman Bruce Westerman of Arkansas with the 2016 Bernard L. Orell Award at the NASF Partners Reception in Washington, DC. Rep. Westerman is a Yale School of Forestry-educated forester and is the only professional forester in Congress. Rep. Westerman has said, “Working forests are our nation’s number one renewable resource. Healthy working forests promote clean air and water. There is no downside to a healthy forest.” “Congressional leaders like Representative Bruce Westerman allow State Foresters to more effectively conserve, protect and enhance America’s trees and forests. Congressman Westerman understands the importance of science-based forest management, cross-boundary partnerships, and bipartisan efforts to work across the landscape. It is not common for the Scottish Government to be praised by a Conservative MP at Westminster – but it happened several times during a debate on tree- planting last month. Chris Davies, MP for Brecon and Radnorshire, made the positive comments to highlight much higher planting rates in Scotland than the rest of the UK. In fact, 83 per cent of trees planted in the UK in 2015-16 went into Scottish ground. …To put this in context, the Scottish Government planting target of 10,000 hectares per year would see around 22 million trees planted annually, ten times the English annual target. …Scotland is doing better, but still falling short of its target. So it is very welcome that the Scottish Government has made clear its absolute commitment to meet its targets, providing the funding required and responding to our proposals to improve the grant scheme for tree-planting. A warning that Wales could run out of wood has come from one of the country’s biggest timber companies. 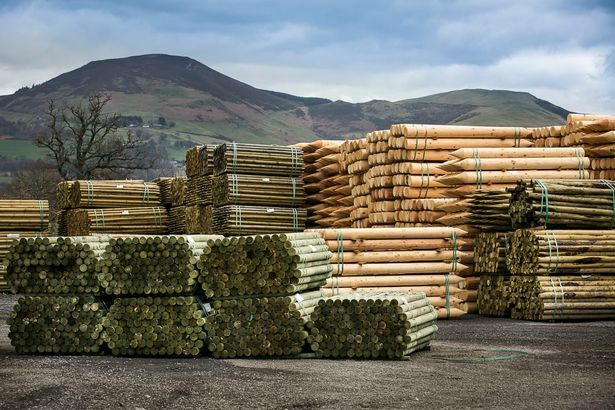 Clifford Jones Timber is the UK’s largest manufacturer of timber fence posts, manufacturing over two and a half million a year at its Denbighshire headquarters and at a second timber mill in Gretna. But Penny Lloyd, purchasing director of the Ruthin-based company which employs over 80 staff, warned this week that a failure to meet planting targets was turning Wales into a tree-free zone and threatening an industry worth over £450m a year. Researchers at Queen Mary University of London (QMUL) have successfully decoded the genetic sequence of the ash tree, to help the fight against the fungal disease, ash dieback. Tens of millions of ash trees across Europe are dying from the Hymenoscyphus fraxinea fungus — the most visible signs that a tree is infected with ash dieback fungus are cankers on the bark and dying leaves. Project leader Dr Richard Buggs from QMUL’s School of Biological and Chemical Sciences said: “This ash tree genome sequence lays the foundations for accelerated breeding of ash trees with resistance to ash dieback. The biomass plant in Lewis County has a positive outlook for 2017, but big question marks after that. 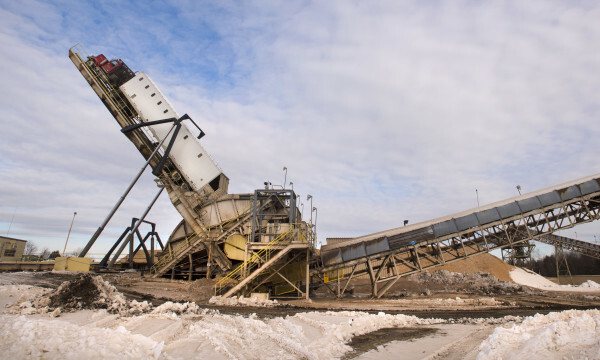 ReEnergy Holdings owns the plant in Lyonsdale that produces electricity from logging scraps. The plant’s future could have a big impact on loggers in the Tug Hill Plateau region. 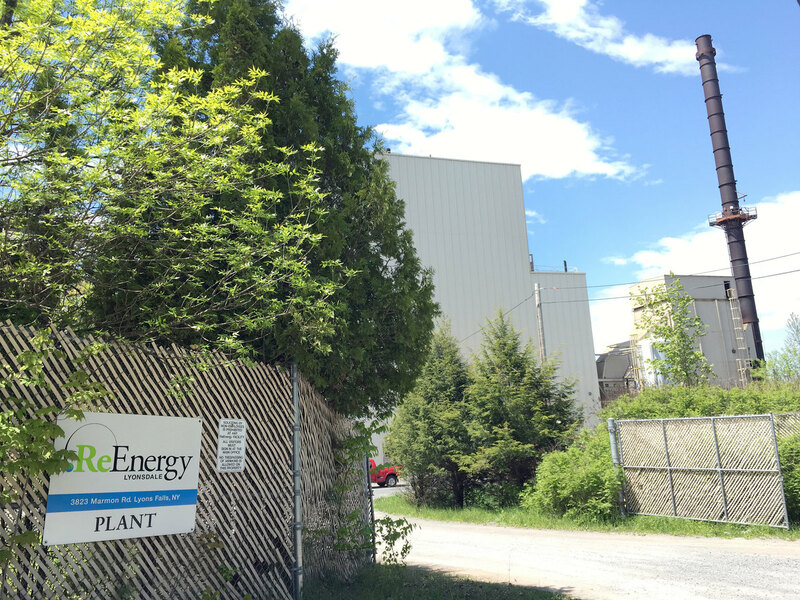 …But the plant fired back up during peak summer demand and has been producing up to 22 megawatts of electricity since.. …Loggers who sell feed stock to the plant are trying to help ensure its future. Greg Hemmerich, owner of Hemmerich Tree Service, said for about 400 loggers in the Tug Hill Plateau, western Adirondacks, and southern St. Lawrence County, the Lyonsdale plant is one of the last reliable markets left. PORTLAND, Maine — A group that studied Maine’s biomass industry has recommended that lawmakers extend state renewable energy purchasing requirements and urged policymakers to take a broad view of the state’s forest economy for ways to help. …The broad 24-page study comes as a federal team also is studying and assessing ways to help Maine’s forest products industry, which has been hit by several paper mill closures in the last five years. The biomass industry has provided loggers a market for some of their low-grade wood, while they send other wood fiber out to make into wood pulp or sawlogs. The study urges waiting for the federal assessment team to take action, but its recommendations are specific in many parts. It’s official: Enviva Biomass, a company trying to battle carbon emissions with wooden pellets as a coal alternative, is shipping out of the Port of Wilmington. 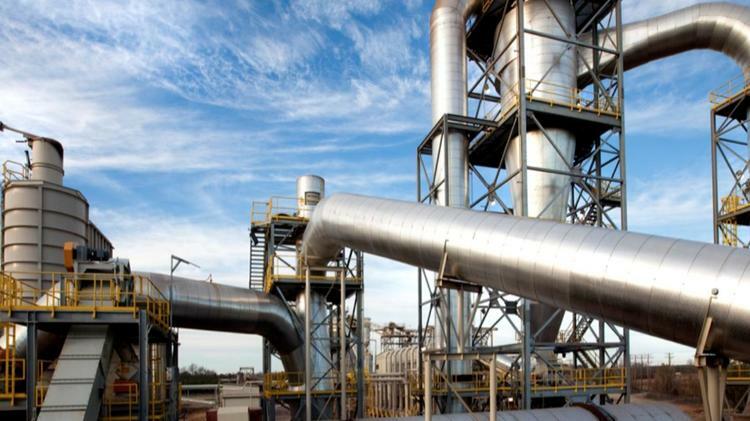 The news that the Maryland company’s first export shipment is finally headed to Europe comes four years after the state approved a 21-year lease agreement to allow the biomass manufacturer to build its port facility. The facility includes two massive storage domes, each capable of housing nearly 50,000 metric tons of pellets. Ray Kaszuba, vice president and treasurer of Enviva, says in an interview that it’s just one of its North Carolina assets. “In terms of overall scale, [North Carolina] is one of the more important states within our fleet,” he says, adding that the statement is also true also from a growth standpoint.